Home > Merchant Accounts > What Is a High-Risk Merchant Account? According to The Nilson Report, losses due to credit card fraud totaled $16.31 billion in 2014. That was up 19 percent from 2013, and it was the fourth consecutive year when the cost of credit card fraud grew more quickly than credit card purchases did. Who foots the bill for credit card fraud? It’s almost never the perpetrator. Sometimes, it’s the card holder. More often, it’s the merchant, but if the retailer can’t cover its losses, the merchant account provider is left holding the bag. That’s why banks and financial institutions analyze each applicant’s qualifications to decide whether they will be more likely to make or lose money on a new account. If you’ve been turned down by multiple providers, your only option for credit card processing may be a high-risk merchant account. 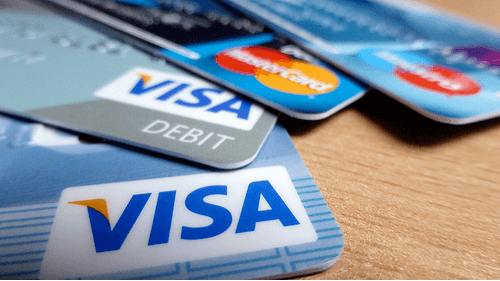 A high-risk merchant account allows businesses to accept credit and debit card payments even if the provider expects a high number of chargebacks. In return, the provider may charge a higher rate and set additional conditions. How Does the Merchant Account Provider Decide Whether a Business Is High-Risk? When you apply for a merchant account, the provider could determine that your business has a high risk of fraud and chargebacks based on the following. Your industry or the items you sell, your personal credit history, or the length of time you’ve been in business. — Or simply because it doesn’t trust your marketing strategy. What Can I Expect From a High-Risk Merchant Account? With a high-risk merchant account, you’ll be able to process credit and debit cards just like any other business, but it’ll cost you more in transaction fees, periodic fees, and incidental charges. Read your contract carefully to make sure you understand everything you’re required to pay and why. Find out up front whether a rolling reserve is required. This strategy attempts to reduce the overall risk by holding back a percentage of your gross sales to make sure you have enough funds in your account to cover chargebacks if your sales drop or that you go out of business. This protects the provider, but it can be a struggle for some businesses to stay afloat when 10 percent of their gross sales is held back. As the world’s economy becomes increasingly cash-free, the ability to process card payments is more important than ever to your business’s financial success. If you don’t qualify for a traditional account, a high-risk merchant account could be the answer. Choose carefully, finding out everything you can about the terms and conditions before you commit to any provider.